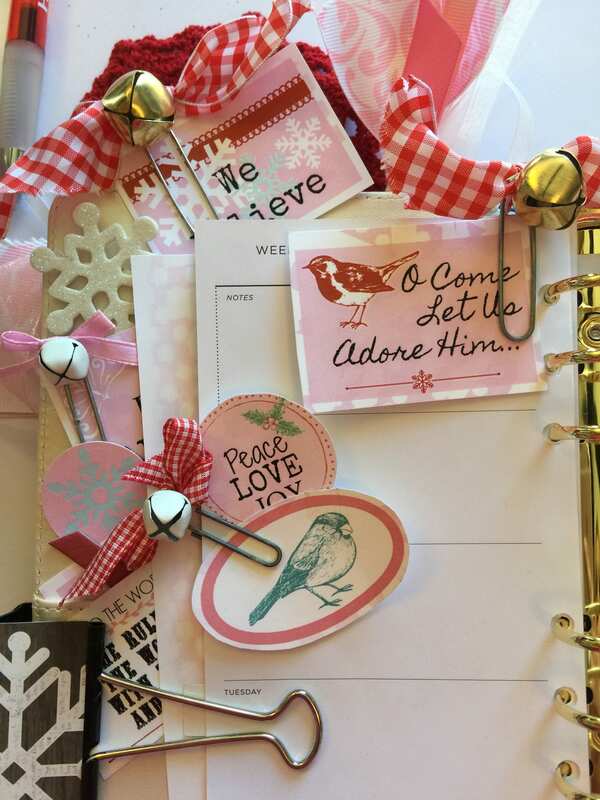 These Christmas printables are perfect for your planner or to slip in a card to someone for a little something extra. 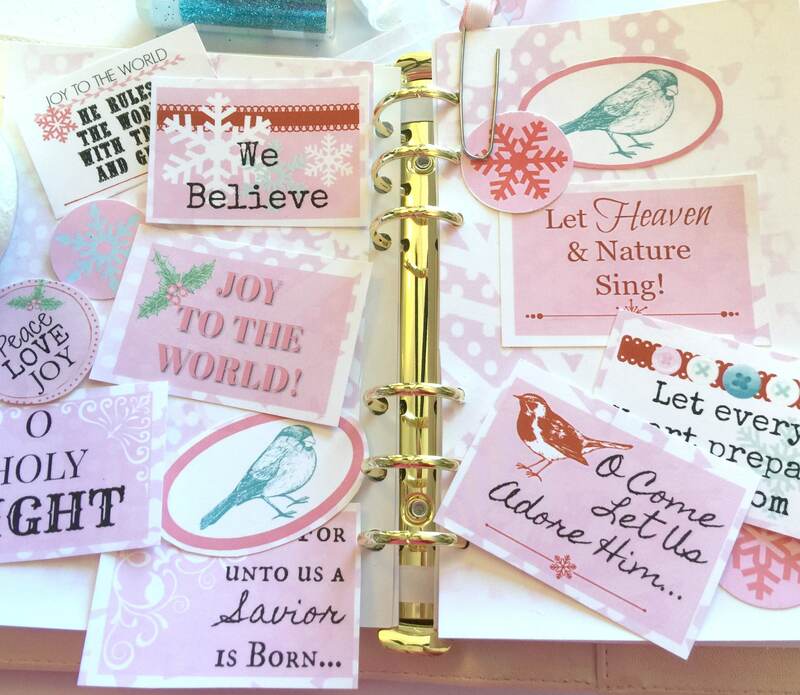 Defining Christmas with Christmas Carol type planner cards, clipart and ephemera. These little cards are reminders of the true meaning of Christmas. Titles and phrases from beloved Christmas carols are displayed artistically with a pastel background and loads of snowflakes. I love it! I use planners all through the year, but I really enjoy decorating and adding a bit of bling and meaning to my planner. So I created these files to be printed out and cut and used in my planner. I use a Travelers notebook with all my lists and reminders of scheduled activities, church events and more. Then I also use a planner for my blogging and Etsy business to do lists, Customer orders, etc. Having a plan helps me. 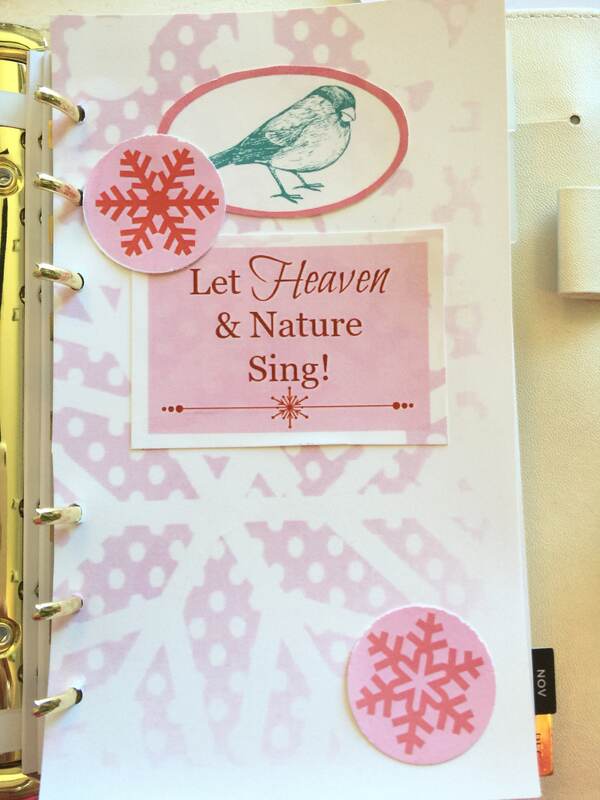 But I love to add a little something festive to my planner pages and inserts. You'll receive Three files as part of this listing. The first is the Christmas Carol Cards to be used as Clipart and decoration for any sized planner. 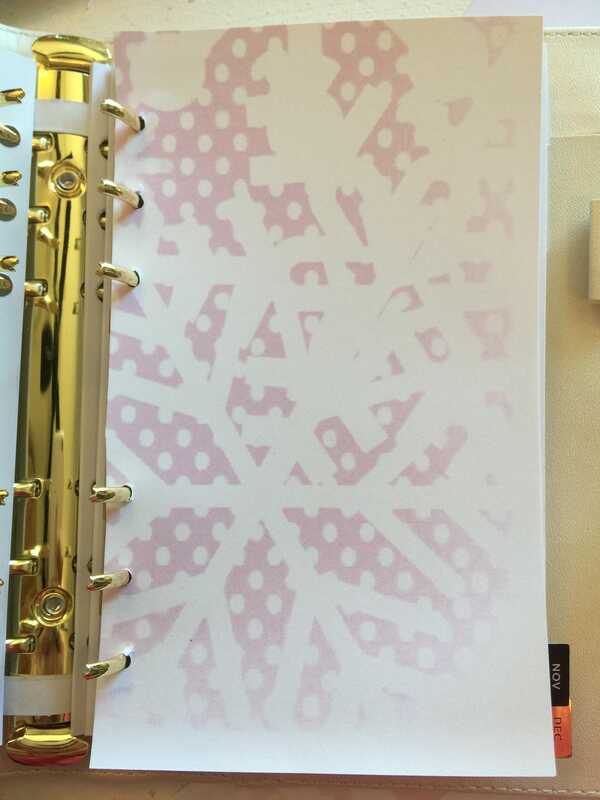 The second file is the background paper, which you will see in one of the photos here in the listing that I cut it and used a hole punch and used it as a decorative planner divider. The third is a decorative print with the same background to be framed or clipped onto the Clipboard. This print has the scripture about baby Jesus being born. Great decorating idea that is very simple. Print and frame. 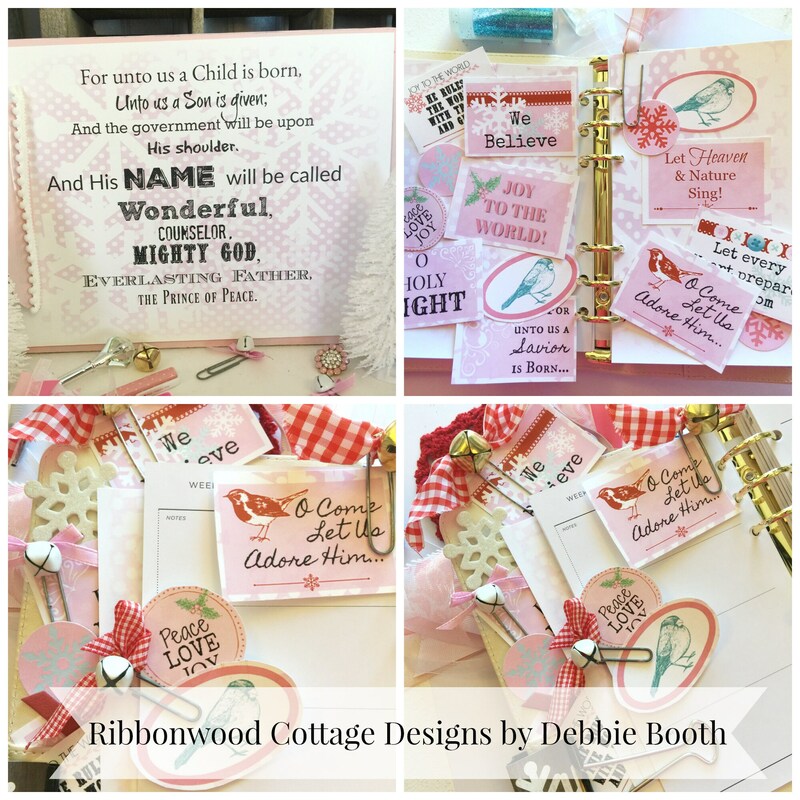 The paper clips and planner accessories are not part of this listing but to give you ideas how to display the clipart/cards in a planner. Easy to print out on card stock paper, copier paper, or full page adhesive sticker paper. 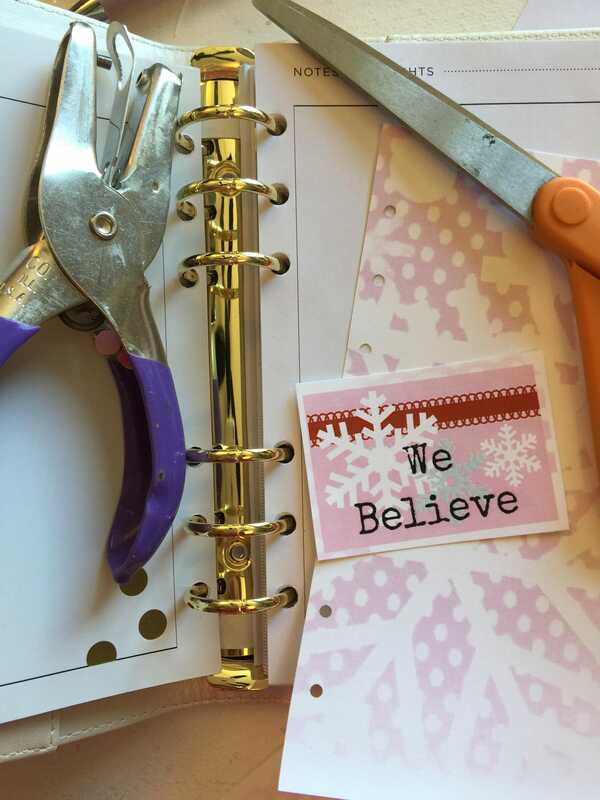 Glue or stick in place to your planner for the Holiday months. The little pastel cards are fun to use on planner pages as they add a little reflection and good meaning to your days and your planner pages. 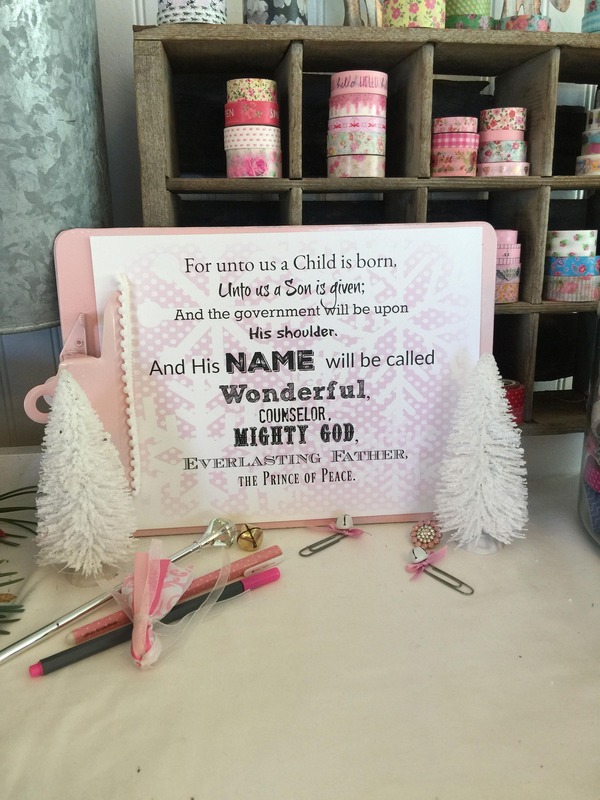 This printable is easy to print out and frame or place on an old vintage clip board for a simple decoration at Christmas. I love doing this and making it the center backdrop for a Christmas vignette or grouping of my favorite Christmas items during the holidays. I add pastel ornaments to a clear glass bowl, and add fake snow. It just looks pretty and is very simple and inexpensive to create. The first is the page of planner clipart, journal cards. Print out and cut and use on your planner pages. The second is the printable with the scriptures on it. Be sure to see all the pictures. And then the third page is the background paper that can be printed out and used to cut and make inserts out of. I love how the pages coordinate and can be used in different creative ways. Please once the purchase has been made, do not share on social media channels as this is designed and created by Ribbonwood Cottage Designs by Debbie Booth 2017. For personal use only and not to be resold or given away. Thank you. Once transaction is complete this printable can be printed out as many times as desired. Please be aware that this product does NOT include any physical item. Nothing will be mailed. You will receive your purchase in the a digital files once payment has cleared. The paper clips and planner accessories are not part of this listing but to give you ideas how to display the clipart/cards in a planner. Also be aware that there are color variations on different screens. Colors seen on your screen here may vary slightly.